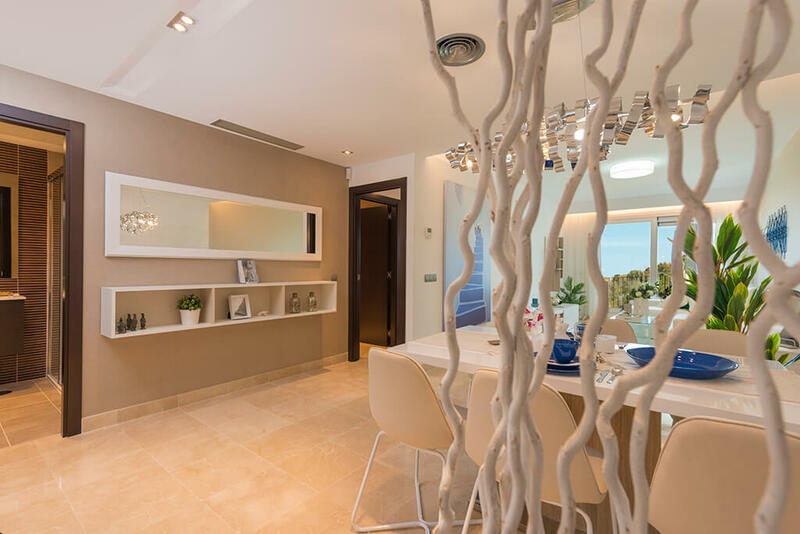 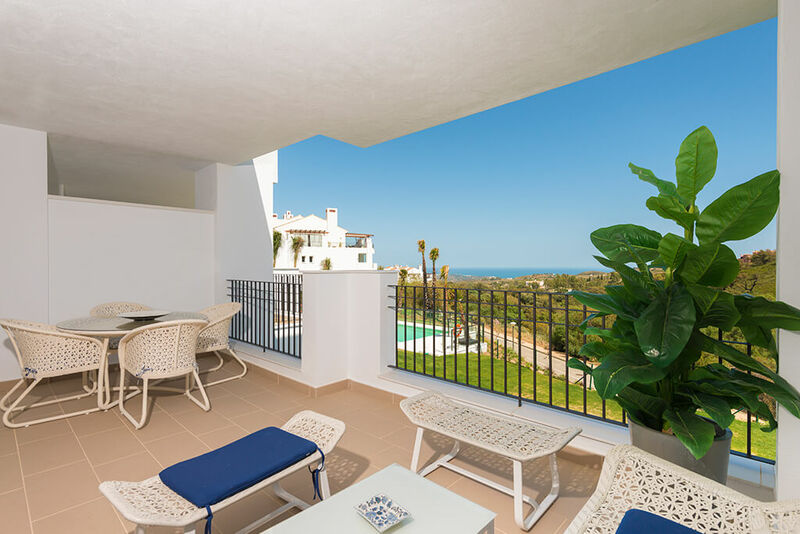 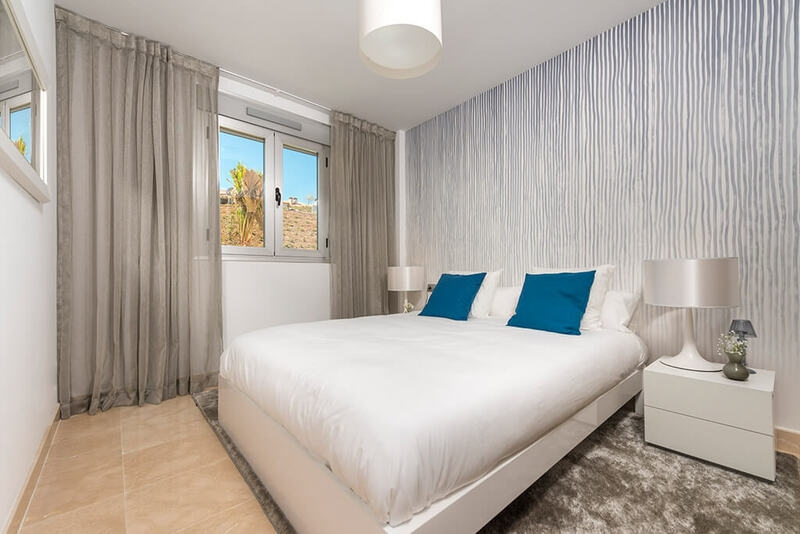 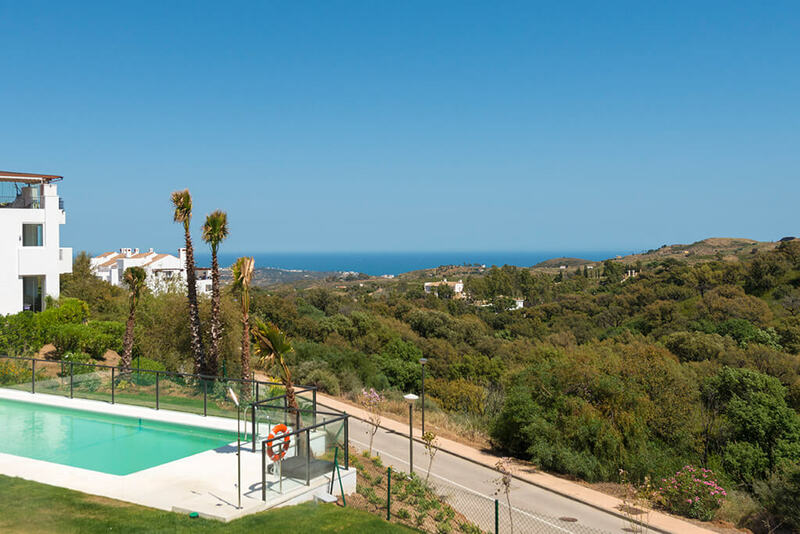 Spacious apartments in a peaceful location near Elviria Beach with beautiful sea and mountain views. 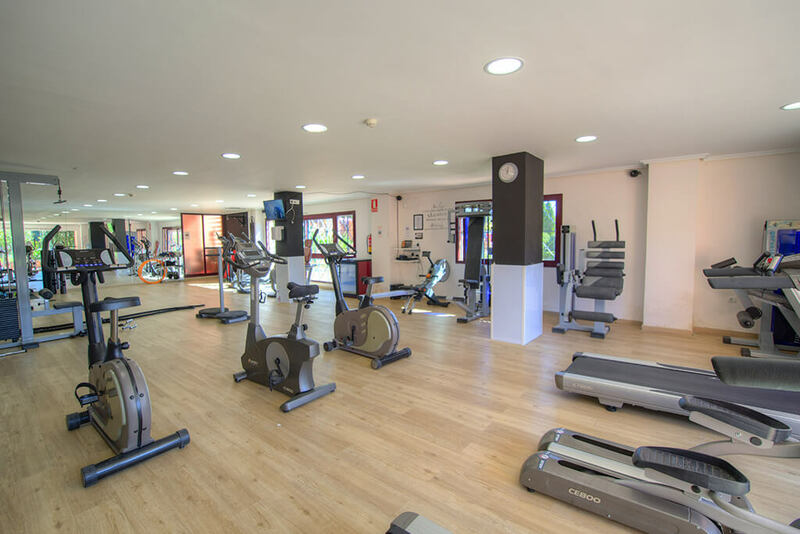 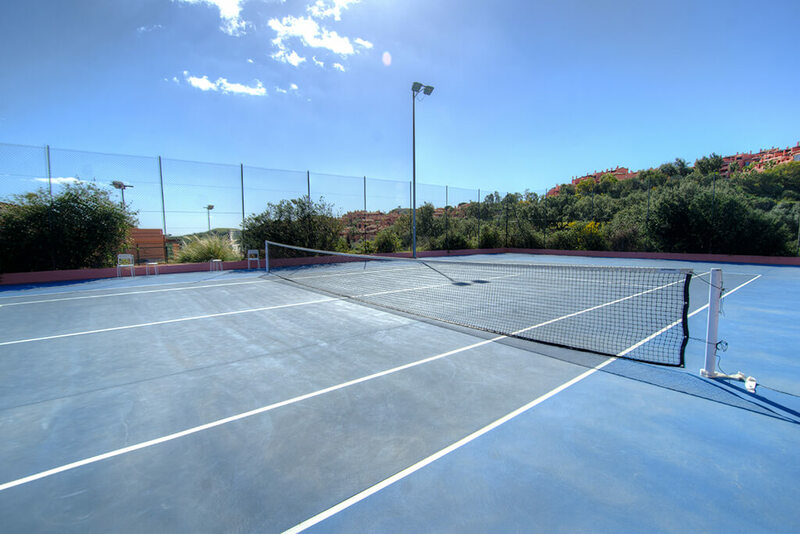 All residents will have free access to the facilities of El Soto Golf Club. 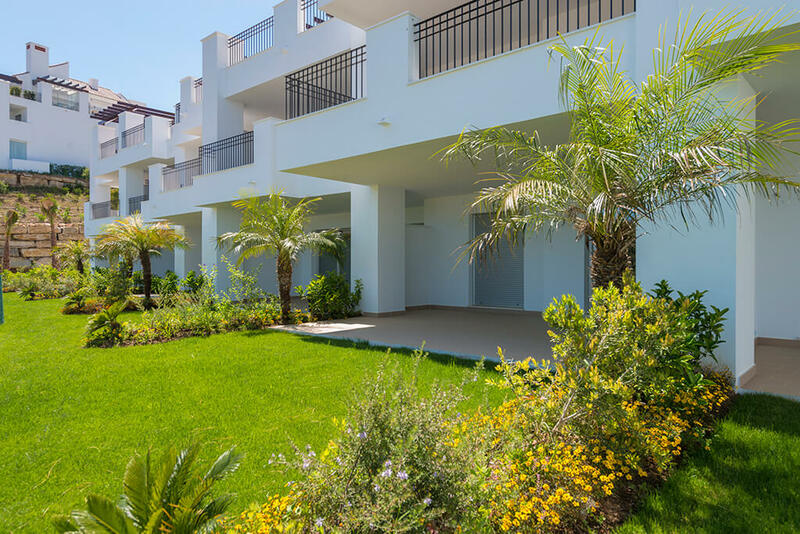 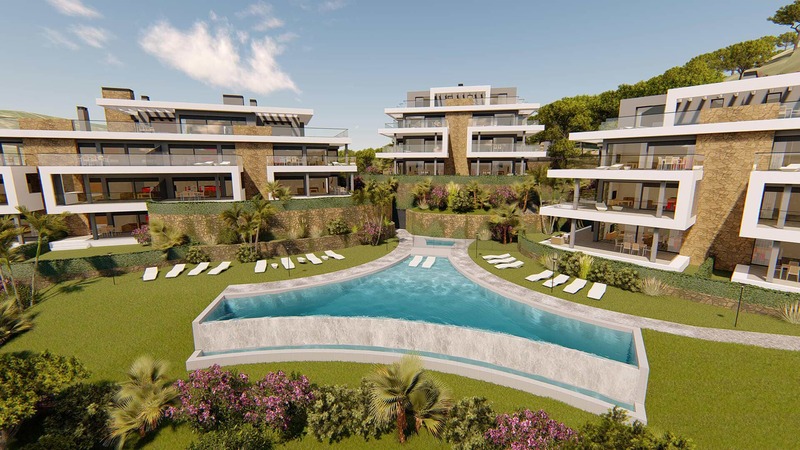 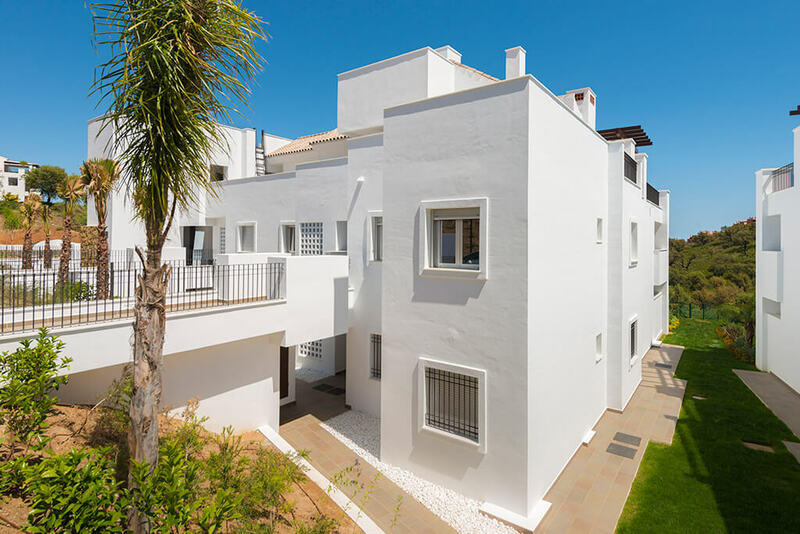 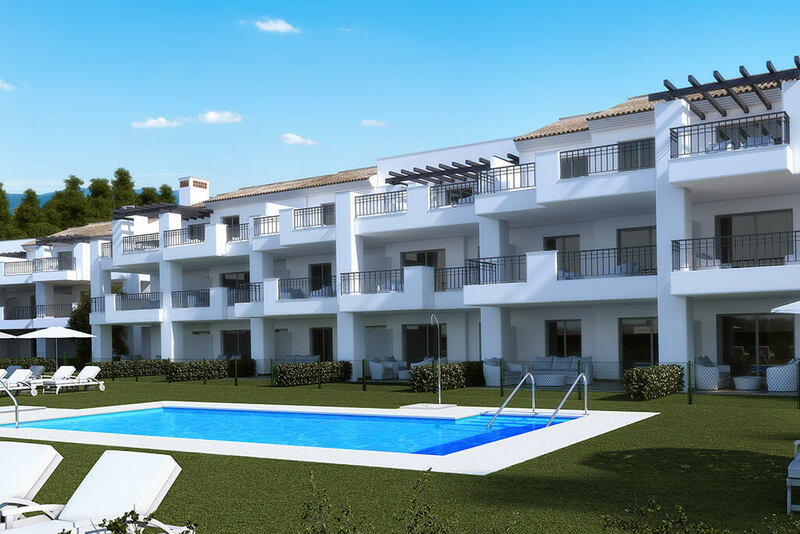 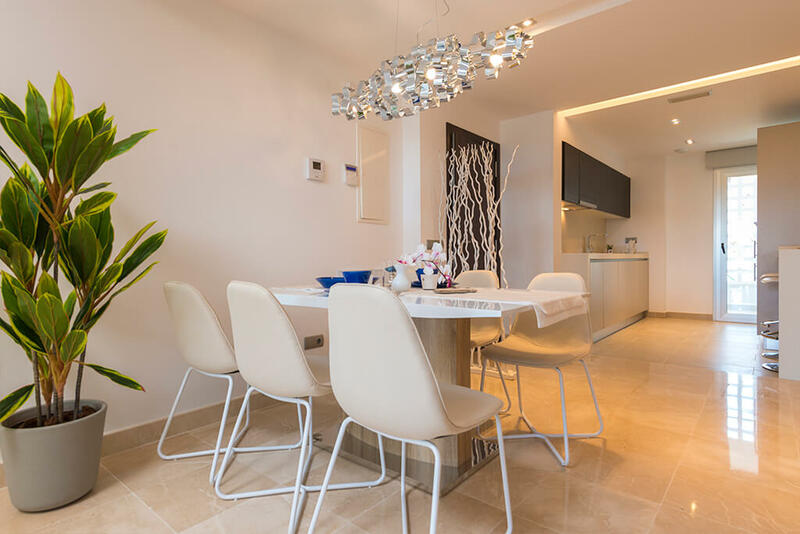 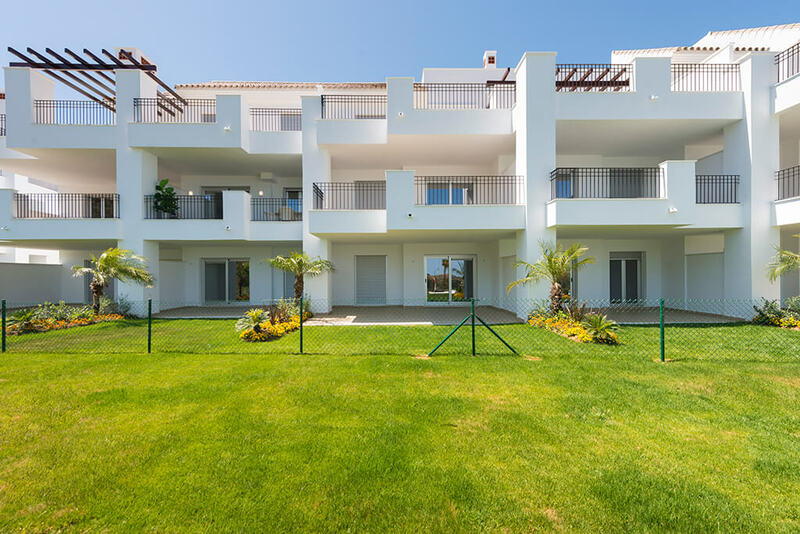 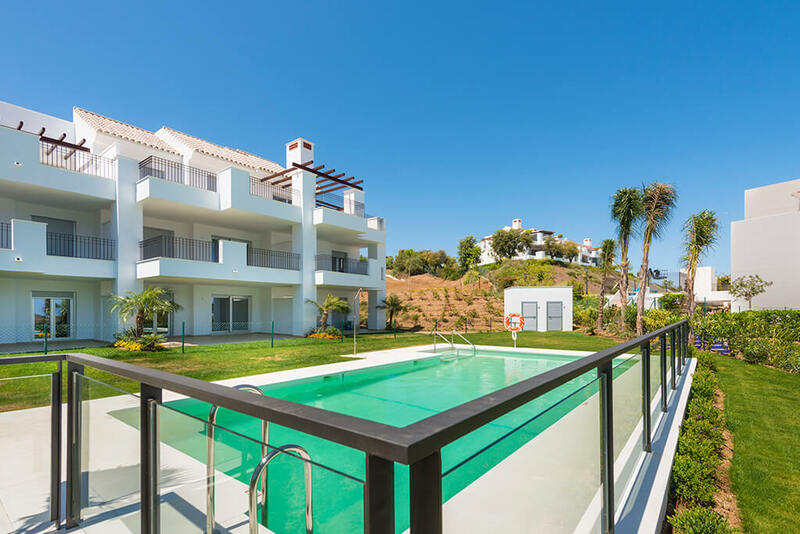 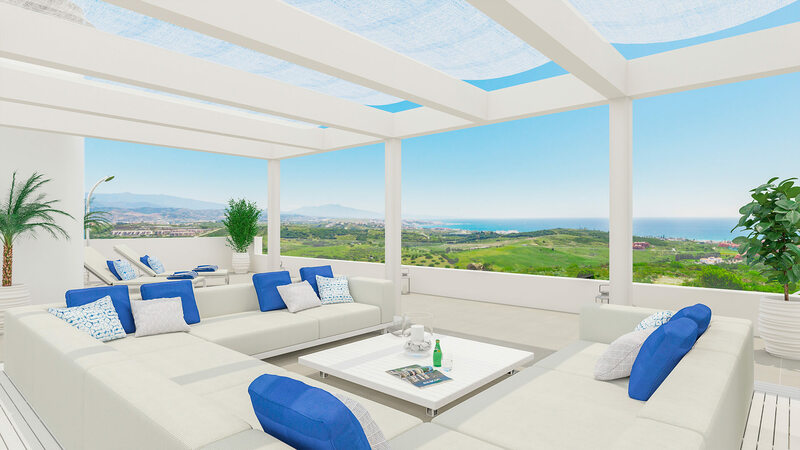 La Floresta Sur is a new residential development, near the village of Elviria and its beautiful beach, very close to Marbella, Malaga, Spain. 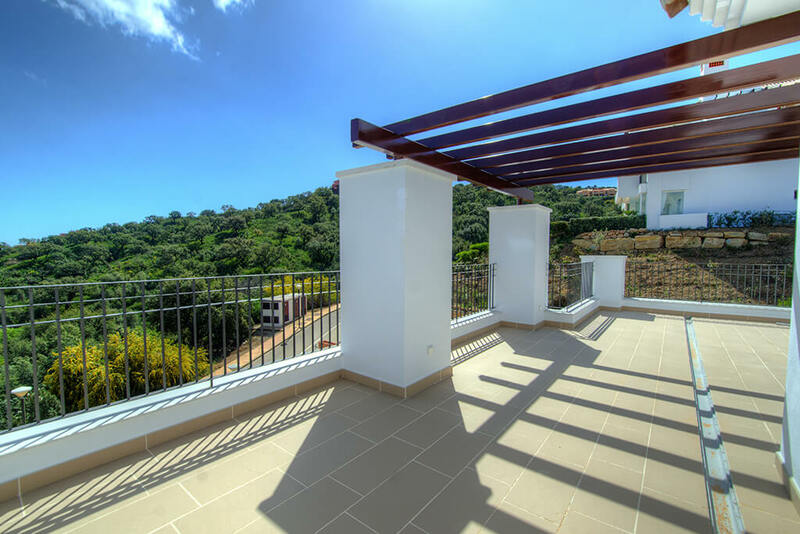 The property is situated in striking surroundings, which have been declared a natural biosphere reserve by UNESCO and benefits from stunning views towards the oak and pine forest as well as towards the sea. 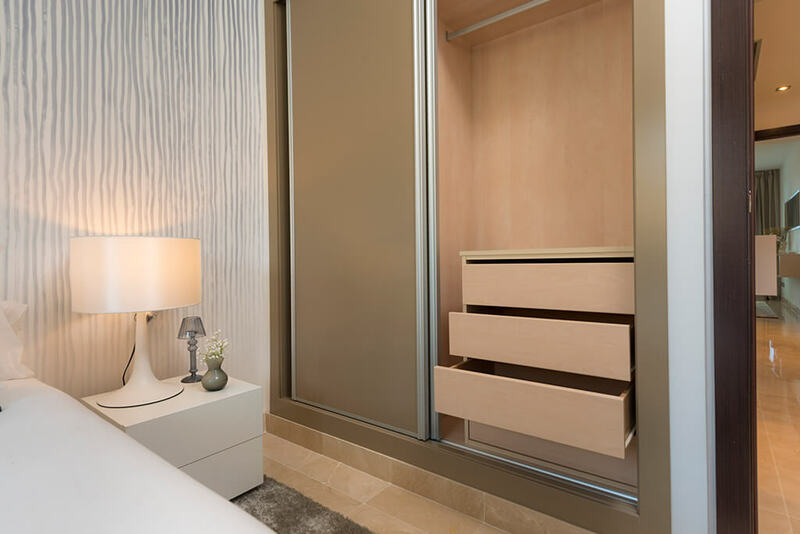 Elevator and external parking space included. 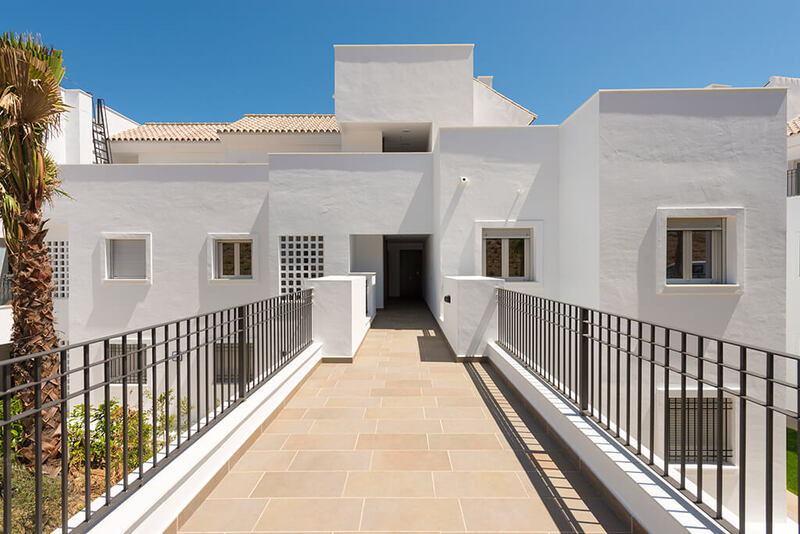 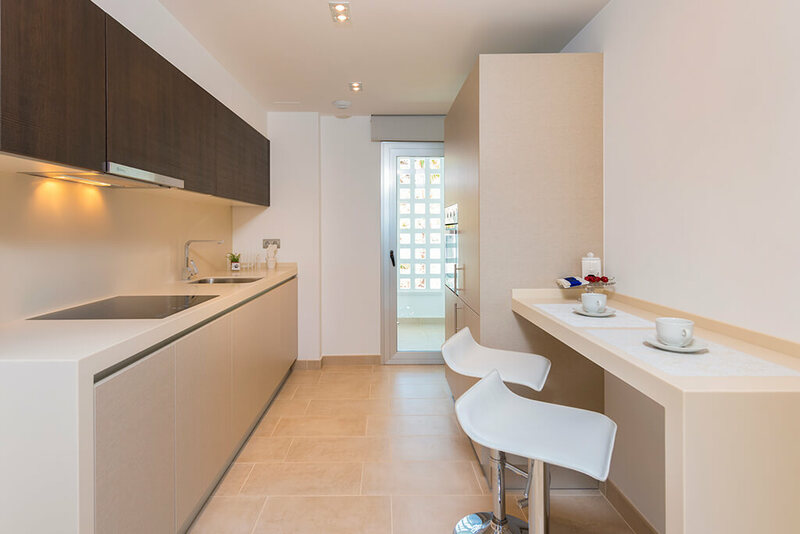 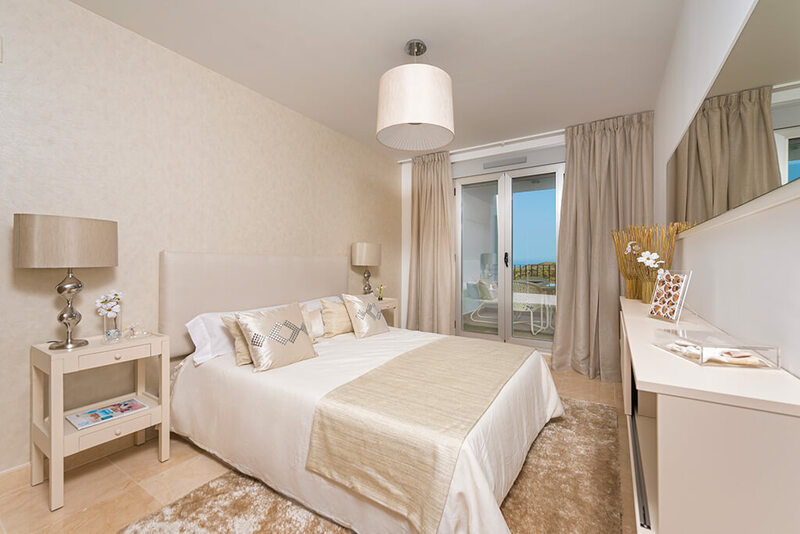 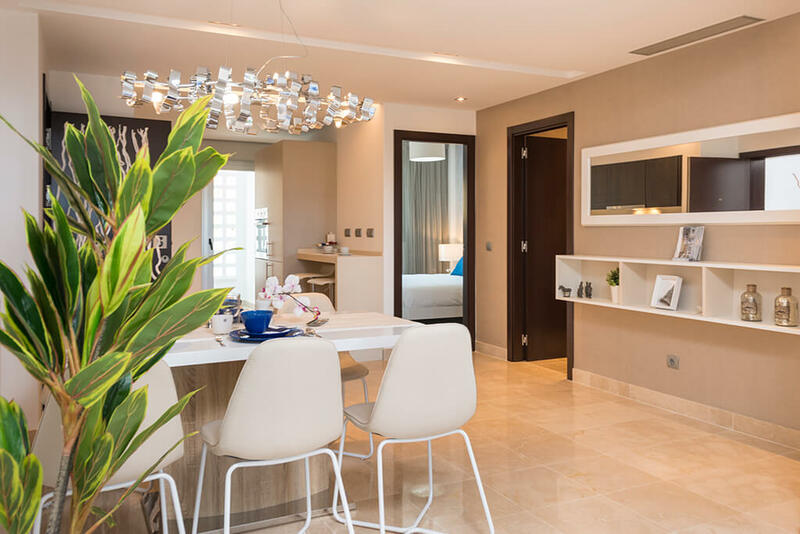 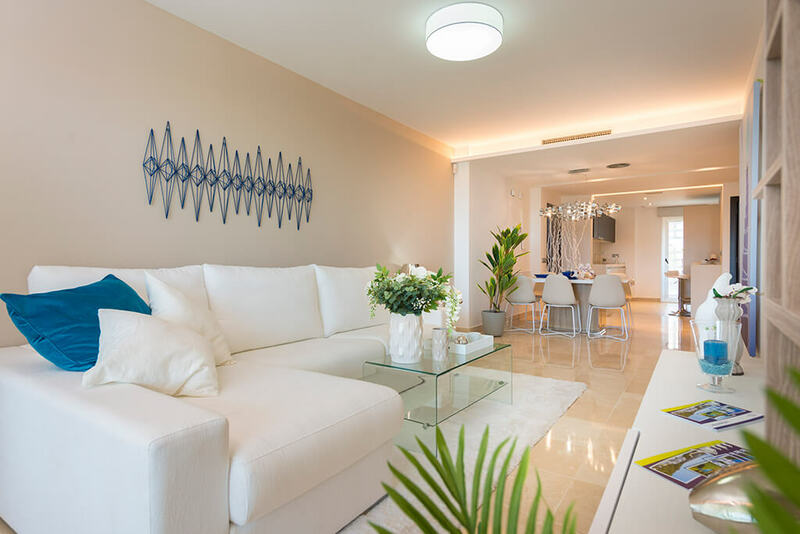 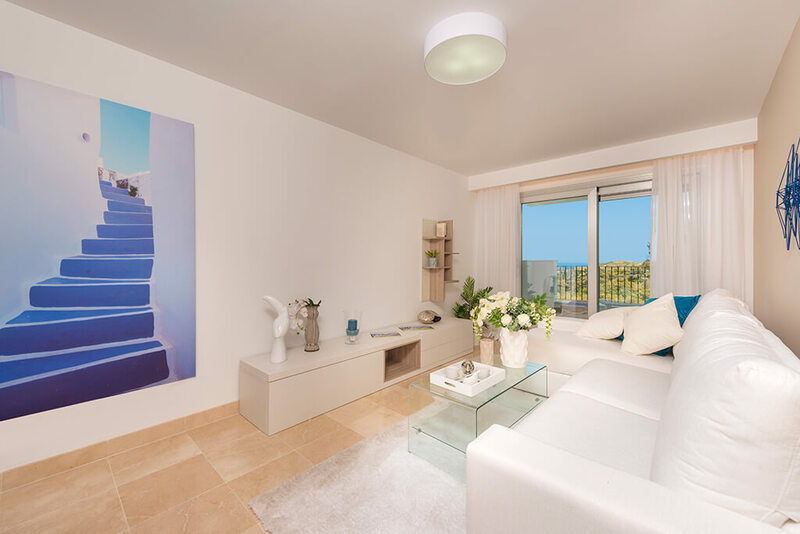 Designed in a typical Mediterranean style, the 2 and 3 bedroom apartments’ measure from 86.8 square metres and have large terraces on which to enjoy the beautiful views. 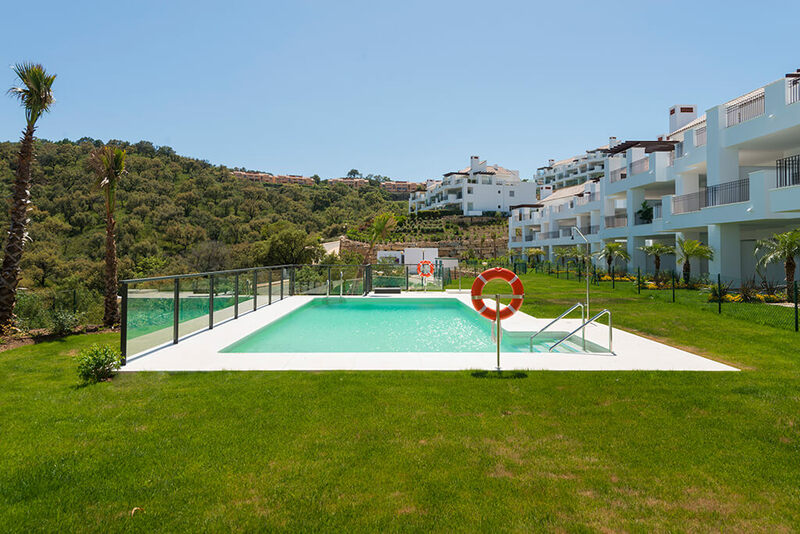 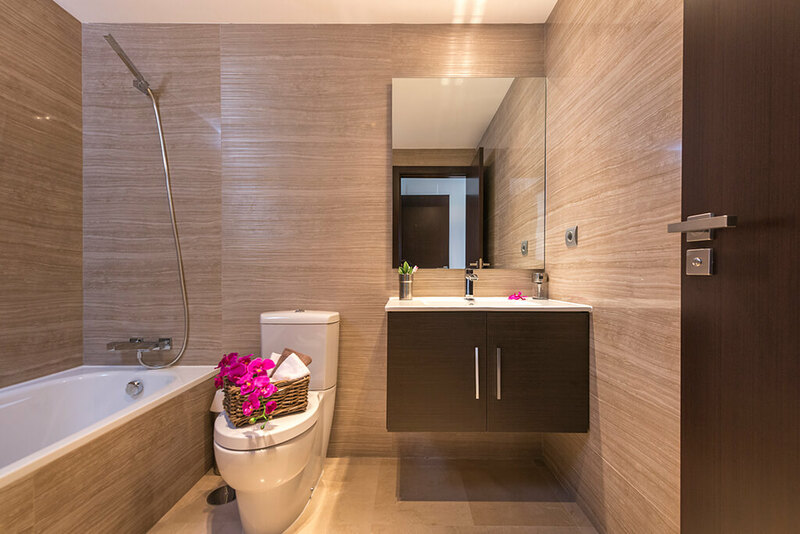 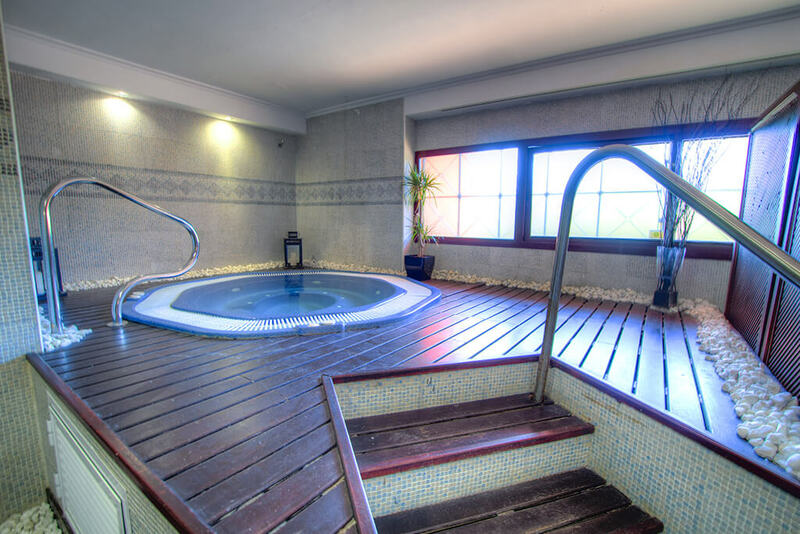 The properties share 2 large communal swimming pools, landscaped gardens and external private parking. 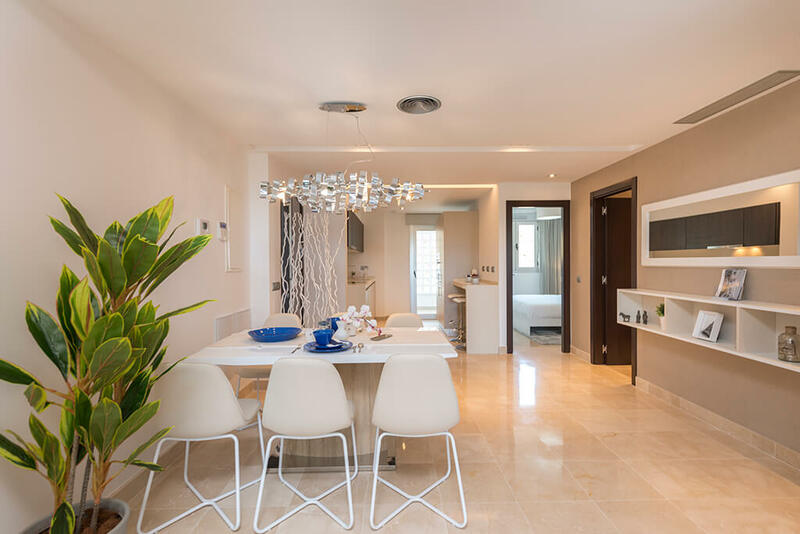 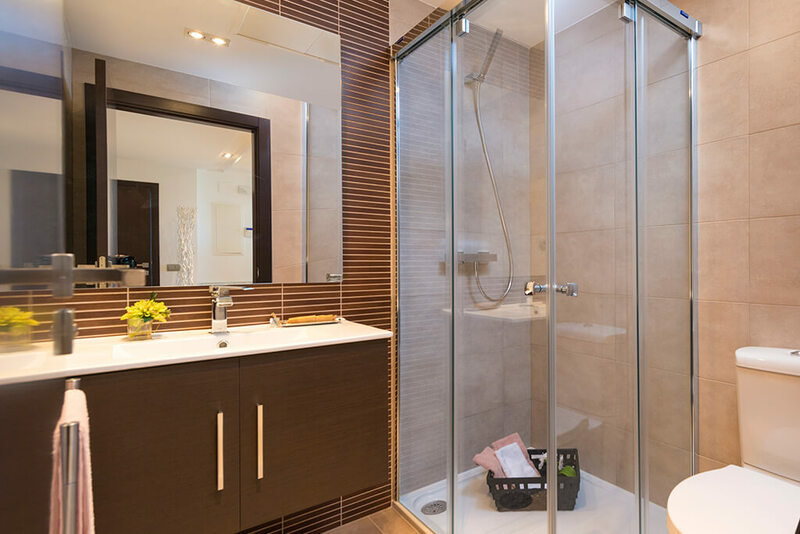 All units are built to the highest standard with first-class finishes, including an Italian designed integrated kitchen with Silestone worktops, thermal and acoustic insulation and air-conditioning. 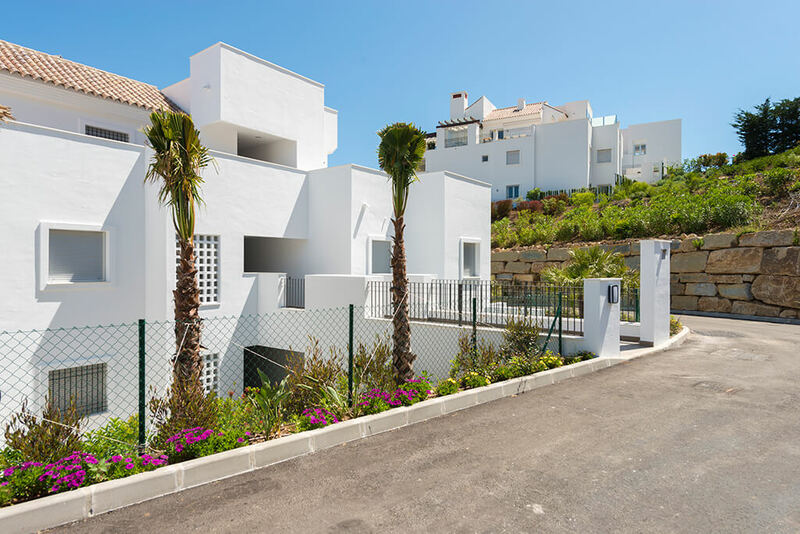 Each block has its own lift and exterior carpentry finishes in aluminium. 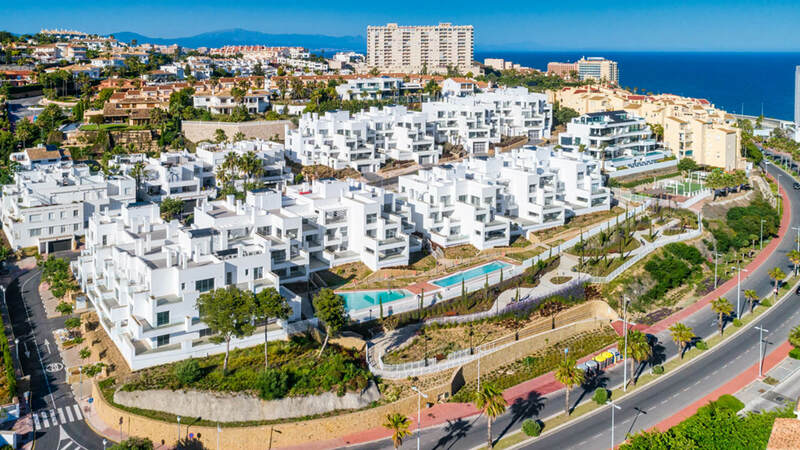 The first phase of 23 apartments is now complete, built in 2 three storey blocks, and construction has begun for a the next phase of La Floresta Sur (15 apartments): 2 and 3 bedroom and penthouses available.